Methods: Case study methodology was adopted. A survey permitted purposeful selection of six GP trainers for interview and informed the interview schedule. Semi-structured interviews provided the data and thematic analysis was employed for data analysis. Credibility indicators included member-checking and cross-checking. Results: Strengths and weaknesses of the e-portfolio were identified. Strengths lay in the ability to demonstrate accountability for a rigorous educational process, and intrinsic educational aspects of the e-portfolio. Weaknesses lay in the time spent by GP trainers in documentation, perceived by them as excessive, and the threats to credibility conferred both by burdensome documentation and the requirement for written reflection on clinical errors. Conclusions and Recommendations: There is a risk of GP trainers endangering their work-life balance and clinical performance by the time spent on the e-portfolio. Participants proposed reducing documentation with fewer competencies and log-entries. They suggested that written reflection on clinical imperfections should not be expected, whilst learning from researching knowledge gaps should, and that they, as GP trainers, should be more involved in e-portfolio evolution. GP trainers are GPs who have undergone extra training in education, often involving obtaining a Post Graduate Certificate in Education. Cleland, J. et al. (2014) ‘Resisting the Tick-box Culture: Refocusing Medical Education and Training’, British Journal of General Practice, 64 (625), pp. 422-423. Cohen, D. (2017) ‘Back to blame: the Bawa-Garba case and the patient safety agenda’, British Medical Journal. Available at: https://doi.org/10.1136/bmj.j5534 (Accessed December 14 2017). Costley, C. Elliott, G. and Gibbs, P. (2010) Doing Work Based Research. London: Sage. Creswell, J. (2014) Research Design Qualitative, Quantitative and Mixed Methods. 4th edn. Thousand Oaks: Sage. Department of Health (2004) Modernising Medical Careers (ROCR Ref: Gateway Ref: 2893). Available at: http://webarchive.nationalarchives.gov.uk/20130107105354/http:/dh.gov.uk/prod_consum_dh/groups/dh_digitalassets/@dh/@en/documents/digitalasset/dh_4079532.pdf (Accessed: 12 December 2017). Driessen, E.W. (2009) ‘Portfolio Critics: Do they have a point?’, Medical Teacher, 31(4), pp. 279-281. Driessen, E. W. et al. (2007) ‘Portfolios in medical education: why do they meet with mixed success? A systematic review’. Medical Education, 41: pp.1224-1233. Eve, R. (2003) PUNs and DENs: Discovering Learning Needs in General Practice. Oxford: Radcliffe. Ferguson, J., Wakeling, J. and Cunningham D.E. (2014) ‘General practice training in Scotland: the views of GP trainers and educators’. 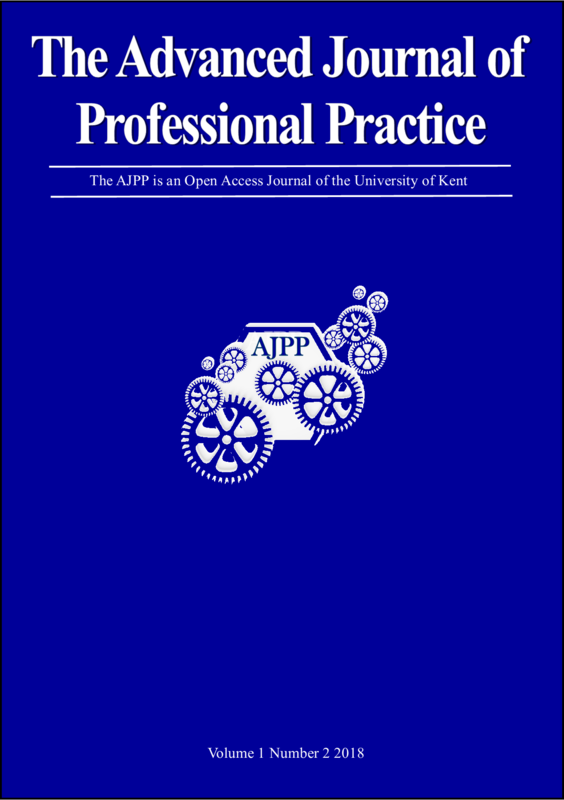 Education for Primary Care, 25, pp. 211-220. Foulkes, J. Scallan, S. and Weaver, R. (2013) ‘Educational supervision for GP trainees: time to take stock?’ Education for Primary Care 24, pp.90-92. Furmedge, D. (2016) ‘Written reflection is dead in the water’. BMJ Careers. Available at: http://careers.bmj.com/careers/advice/Written_reflection_is_dead_in_the_water (Accessed September 16 2016). General Medical Council (2013) Good Medical Practice. Available at: http://www.gmc-uk.org/guidance/good_medical_practice.asp (Accessed: 21 March 2017). Goodyear, H.M., Bindal, T. and Wall, D. (2013) ‘How useful are structured electronic Portfolio templates to encourage reflective practice? ’, Medical Teacher, 35, pp. 71-73. Honey, P. and Mumford. A. (1986) Using Your Learning Styles. 2nd edn. Maidenhead: Honey. Hrisos, S., Illing, J.C. and Burford, B.C. (2008) ‘Portfolio Learning for foundation doctors: early feedback on its use in the clinical workplace’, Medical Education, 42, pp. 214-223. Jenkins, L., Mash, B. and Derese, A. (2013a) ‘The national portfolio for postgraduate family medicine training in South Africa: a descriptive study of acceptability, educational impact and usefulness for assessment’, BMC Med. Educ., 13(101), doi: 10.1186/1472-13-101. Jenkins, L., Mash, B. and Derese, A. (2013b) ‘The national portfolio of learning for postgraduate family medicine training in South Africa: experiences of registrars and supervisors in clinical practice’, BMC Med. Educ., 13 (149), doi: 10.1186/1472-6920-13-149. Johnson, G. et al. (2008) ‘Feedback from educational supervisors and trainees on the implementation of curricula and the assessment system for core medical training’. Clinical Medicine, 8(5), pp. 484-489. Kilminster, S.M. and Jolly, B.C. (2000) ‘Effective supervision in clinical practice settings: a literature review’. Medical Education, 34, pp. 827–40. Kolb, D.A. (1984) Experiential Learning. Englewood Cliffs, NJ: Prentice Hall. Lewis, J. (2014) Qualitative research practice: a guide for social science students and researchers. 2nd edn. Edited by Jane Ritchie, Jane Lewis, Carol McNaughton Nicholls and Rachel Ormston. London: Sage. Makris, J. et al. (2010) ‘Consultants’ attitudes to the assessment of GP specialty trainees during hospital placements’, Education for Primary Care, 21, pp. 236-242. Mann, K., Gordon, G. and Macleod, A. (2009) ‘Reflection and reflective practice in health professions education: a systematic review’, Advances in Health Sciences Education, 14 (4), pp. 1573-1677. Mohanna, K. and Tavabie, A. (2008) General Practice Specialty Training, Making it happen, London: Royal College of General Practitioners. Murray, C. and Smith, A. (2007) ‘From application to graduation and beyond: Exploring user engagement with e-portfolios and the e-advantage’, European Journal of Open, Distance and E-Learning. Available at: http://eurodl.org/materials/contrib/2007/Murray_Smith.htm (Accessed: 13 April 2015). Pereira-Gray, D. (1993) ‘Portfolio-based learning in General Practice: report of a working group on higher professional education’, Occasional paper, Royal College General Practitioners, 63, pp. 1-22. Sandars, J. (2009) ‘The use of reflection in medical education’, AMEE guide no. 44. Medical Teacher, 31(8), pp. 685-695. Schön D. A. (1983) The Reflective Practitioner. London: Temple Smith. Sexton, J.B.et al. (2016) ‘The associations between work–life balance behaviours, teamwork climate and safety climate: cross-sectional survey introducing the work–life climate scale, psychometric properties, benchmarking data and future directions’, BMJ Quality and Safety. Available at: http://dx.doi.org/10.1136/bmjqs-2016-006032 (Accessed: March 22 2017). Shaw, B. et al. (2014) ‘An investigation of factors affecting the outcome of the clinical skills assessment (CSA) in general practice specialty training’, Education for Primary Care, 25, pp. 91-95. Snadden, D. (1999) ‘Portfolios: attempting to measure the unmeasurable?’, Medical Education, 33, pp. 478-479. Snadden, D. et al. (1996) ‘Portfolio-based learning and general practice vocational training’, Medical Education, 30 (2), pp.148-152. Tavabie, A. (2009) ‘Overview of GP specialty training’, in Mohanna, K. and Tavabie, A. (eds.) General Practice Specialty Training. London: Royal College of General Practitioners, pp. 1-10. Tailor, A. Dubrey, S. and Das. S. (2014) ‘Opinions of the ePortfolio and workplace-based assessments: a survey of core medical trainees and their supervisors’, Clinical Medicine, 14 (5), pp. 510-516. Van Tartwijk, J. and Driessen, E.W. (2009) ‘Portfolios for Assessment and learning’, AMEE Guide no. 45. Medical Teacher, 31 (9), pp. 790-801. Wiener-Ogilvie, S. Jack, K. and Lough, M. (2008) ‘General practice trainers’ views on the newly introduced General Practice Specialist Training Programmes in Scotland’, Education for Primary Care, 19, pp. 366-75.